Welcome to the virtual home of Rising Voices - Oxford's much-loved community choir. 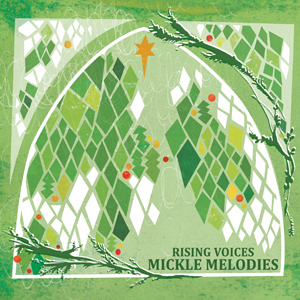 Rising Voices sing a variety of modern and traditional songs from the UK and abroad, and are well known locally for their enthusiastic performances and strong sense of community and fun. "The enjoyment of all those involved is clear and radiates out to make the audience smile too." Rising Voices is a community choir in the truest sense of the word. We take our singing seriously and strive for high standards in performing, but it is important to us that everyone is included and having fun at the same time. Each rehearsal starts with tea and cake and a chat, and often finishes with a rousing reprisal of the evening's songs over the washing up! Rising Voices made our debut at Oxford Folk Festival in 2008 and performed there every year until it was cancelled in 2011. 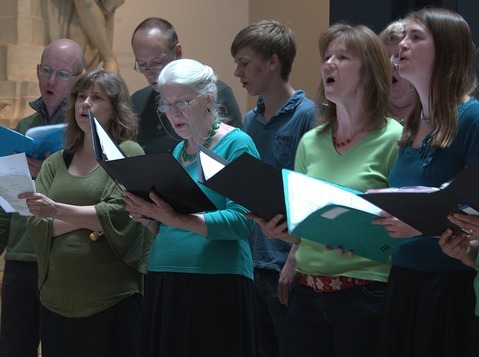 Having come under the auspices of Folk Arts Oxford, we are now the official community choir of Folk Weekend: Oxford, and can regularly be seen performing at local events such as Carols at Oxford Castle, Oxfolk Ceilidhs, and venues such as the Ashmolean and Natural History museums. 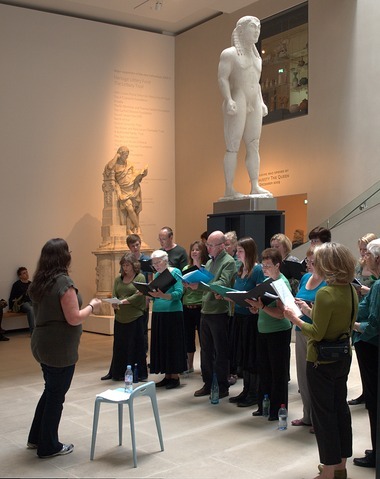 Highlights over the past few years include a Christmas concert in Exeter College Chapel with Folk Weekend patron and double winner of the BBC Radio 2 Folk Awards, Jackie Oates, leading carols with around 500 other singers in the Atrium of the Ashmolean Museum, and singing in a Makaton-signed relaxed performance at the 2015 Folk Weekend. New members are always welcome at any time of year - although it's best to come along at the start of a term if you can, as we'll be starting out on new songs and beginning our preparation for that term's performances. All the songs are taught by ear so there is no need to be able to read music; there are no auditions to join, and no age restrictions. The songs are arranged in a way that builds up texture and harmony to create a stunning overall effect, whilst at the same time having parts suitable for singers of any ability.